…who defies all fan theories and does not appear to be the billionaire behind the Glass Box, nor is in a wheelchair or maimed from the bank explosion at the end of season two, nor appears to give one lick about what’s going on with Richard Horne, and is instead (delight of all delights!) married to an exasperated midget named Charlie whose drowned in paperwork and positively doing everything in his power not to accompany Audrey to the Roadhouse in an attempt to find Billy: her lover…and perhaps the same Billy that random person at Double RR was looking for at the end of Hour Seven? Sherilyn Fenn acts the heck out of the scene, which Lynch plays long and close, all back-and-forth melodramatic nonsense between an aggressive-aggressive Audrey and a hilariously passive-aggressive Charlie, with each new tidbit of information and name mentioned creating a pile-up of soap opera nonsense that makes it appear as if a-whole-nother show, The Audrey Horne Show, has been running in parallel to the metaphysical nightmare and comedy of manners that has been Twin Peaks this season. What did Tina say to Charlie? Where the hell is Billy? Why didn’t he report Chuck stealing his truck? And what (and who) the hell were those women in the booth babbling about during that sweet, sweet Chromatics song? What say you, fellow Peakers? What did you think of the return of the soap opera style in Hour Twelve? 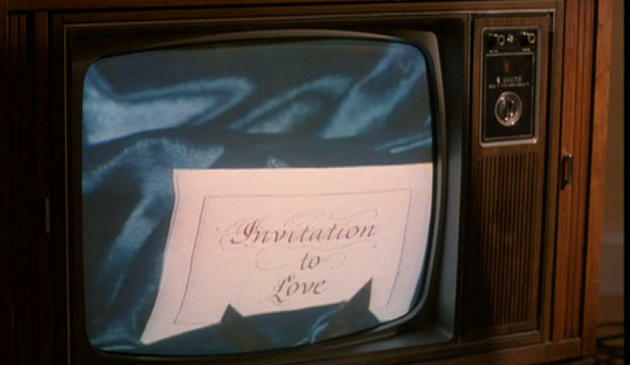 This entry was posted in Art, Pop Culture, Psychology, Television, Twin Peaks - The Return: Complete Hour by Hour Guide and tagged Agent Tammy Preston, Albert Rosenfield, Audrey Horne, Benjamin Horne, Billy, Chrystal Bell, David Lynch, Diane, Frank Truman, Gordon Cole, Grace Zabriskie, Harry Truman, Has Anyone Seen Billy?, Invitation to Love, Laura Dern, Mark Frost, Meta, Miguel Ferrer, Richard Beymer, Robert Forster, Sarah Palmer, Sherilyn Fenn, Showtime, Soap Operas, The Chromatics, The Roadhouse, Twin Peaks. My favorite scene was Sarah Palmer in the store insightfully being concerned by turkey jerky. It’s unnaturalness let’s her know sometime afoul is afoot.